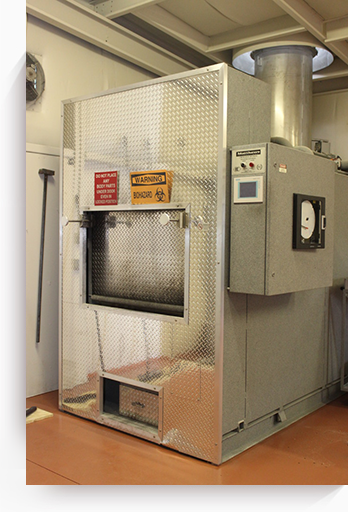 Cremation service and return of cremains generally within 48 hours. delivery by The Good Shepherd staff, pickup by owner with appointment, mail or UPS to owner. Use of The Good Shepherd Chapel for memorial service or quiet time for reflection. Optional viewing of cremation at no additional charge. Personalized upgraded urns are available for purchase starting at $15.00 that include wooden, metal, and North Carolina Pottery and come with a personalized plaque.